After many years, I finally made some Pineapple Rolls. I have been hesitating all this while because it is time consuming. However, since I have been a stay at home wife, I now have the time to try this recipe. 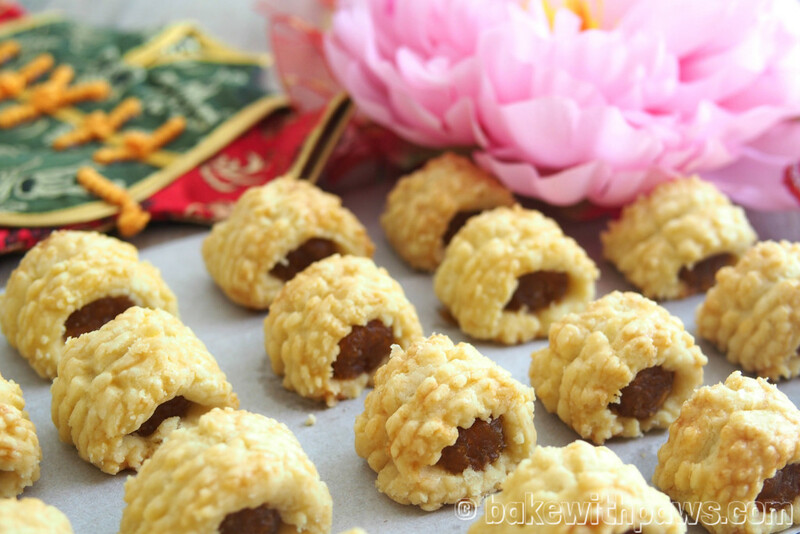 The result is just what I am looking for - the pastry roll very light, crumbly and buttery. Just the way I like it. 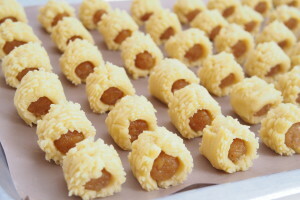 However, the shape is not so perfect as I think I need some practice to make beautiful pineapple rolls! 1. Peel pineapples and remove the eyes. Cut and chop until fine. You may use blender but you need to be careful not to get it too fine. I decided to manually chop mine so I could control the fineness. 2. Cook pineapples in a pot or wok on medium heat until liquids evaporate. Add in sugar and adjust the heat to low. Stir occasionally and keep an eye on it. Please make sure the pineapples jam is not burned. 3. Simmer until the jam is dry and colour you prefer. 4. Turn off the heat. Set aside to cool and store in an air-tight container. The jam can be stored for several weeks in refrigerator. 1. Cream butter and icing sugar till fluffy. 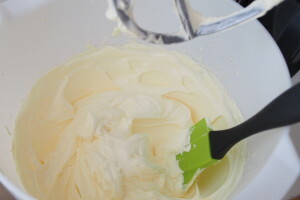 Add in egg yolk, one at a time then add in salt and beat until well-mixed. 2. 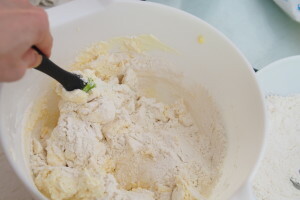 Shift both flour and baking powder. 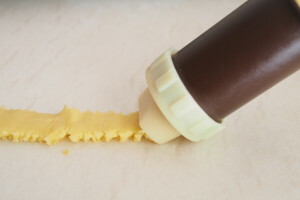 Fold in the shift ingredients into butter mixer to become soft dough. Set aside for 30 to 40 minutes. 3. 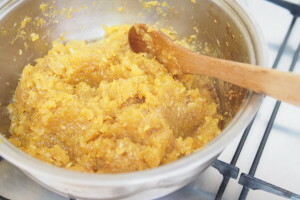 In the meantime, shape the pineapple jam into a ball (about 1 teaspoon or 6g each ball). You may do this a day before. 4. 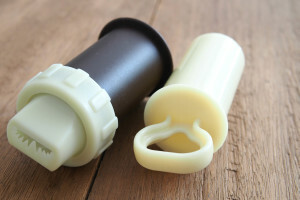 Place the dough into cookie pump with v design spout. Pattern side face down. Pine out the dough into a long strip. 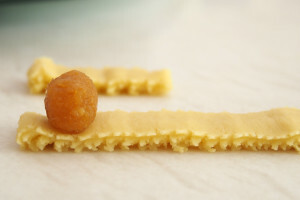 Place a pineapple jam ball at one end of the strip and roll up the pastry just enough to enclose the filling. Cut off the access strip. 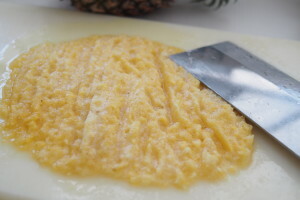 Place pineapple roll on a lined baking sheet and brush with egg wash.
5. Bake in preheated oven at 180 C for 30 minutes or till golden brown. 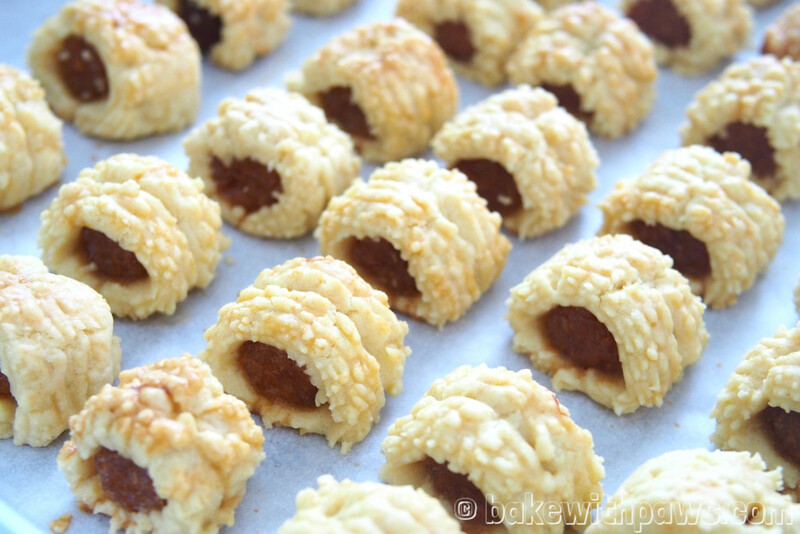 Cool the pineapple rolls completely before storing in the air tight container.